United Kingdom, 2017, 20 min. 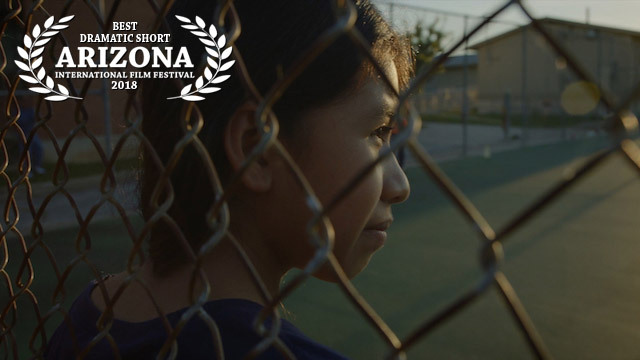 HACIA EL SOL (TOWARDS THE SUN) Trailer from Monica Santis on Vimeo. In 2016, I visited a shelter for unaccompanied minors who had been placed there after being detained by border patrol on the United States-Mexico border. I went with an organization that has shelters all over Texas--their aim is to reunify kids with their family members in the USA. The shelter supplies housing, educational courses, legal representation, medical attention, and emotional support. I was moved by the sense of community and support from both children and adults. The majority of minors are fleeing violence in their home countries and are desperately trying to reunify with family in the USA. As I sat and spoke with kids and shelter staff, I was particularly moved by stories about healing. Several children had survived an extremely traumatic border crossing and encountered violence and other sorts of abuse along the perilous way. I also realized that a lot of children were waiting in limbo--waiting to see what the judges rule, waiting for good news, waiting and anticipating bad news. I wanted to explore the point of view of a girl who had recently arrived, and I wanted to show her first steps towards self-expression in the face of so much trauma---in doing so, I wanted to humanize a political issue and shed light on a resilient community of children who deserve to feel safe. Themes: Border, Immigration, Abuse, Friendship, World Cinema. United States, 2019, 13 min.